Large lot (1ha) with lots of usable space. Are you looking for a “dream life” that you could never afford in your home country? 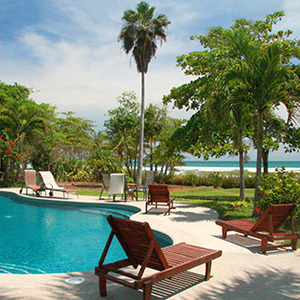 Tropisphere Real Estate sells and rents properties in the Southern Nicoya Peninsula of Costa Rica, primarily in the towns of Santa Teresa, Malpais, Montezuma, Tambor, Cabuya, Manzanillo, and neighboring vicinities. We offer everything from simple family homes and farms to spectacular ocean view and beachfront properties to luxury villas and eco-resorts. and is still relatively undeveloped, so prices are still affordable. Plus, there’s already a thriving international community that is historically known as a haven for artists, musicians, and creative people alike. If you’re looking for surfing, you’ve come to the right place. Malpais surfing becoming known far and wide. Tropisphere works hard to attract potential buyers to our part of Costa Rica who, like us, care about the environment and culture of where they live. On a nationwide level, Tropisphere focuses on offering properties especially created with nature conservation real estate in mind, as Costa Rica is presently on the rise to becoming one of the world’s most popular destination countries for eco and health/ medical tourism. 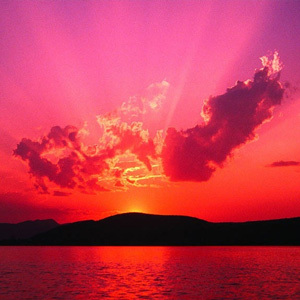 Here you will find yoga retreat centers and many Spa & wellness farms up for sale in Costa Rica. The ‘little Switzerland’ of Central America with its lush, tropical vegetation and “green conscience” provides the perfect back drop for wellness, spa resorts, yoga retreats and teacher training, and alternative/ homeopathic medicine clinics. 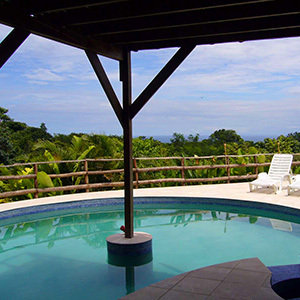 Why Buy Costa Rica Real Estate? 1. 40 million baby-boomers are currently entering retirement over the next few years, and many are looking for a higher quality of life than they can find in the U.S.
2. CNN recently reported that 8.9 million Americans have over a million dollars in assets NOT INCLUDING THEIR PRIMARY RESIDENCE. 3. Real Estate markets in the U.S. have topped out, making investing in the U.S. an unattractive option, and prices in many areas of the U.S. are expected to drop. 4. Many top real estate investing experts are advising their clients to buy outside the U.S.
5. Nicaragua is cheaper, but much is not titled. Mexico’s land with 200 miles of the coast isn’t titled and can’t be owned by foreigners. 6. Violent crime is a problem in almost all of Central American countries except Costa Rica, where it’s rare. 8. 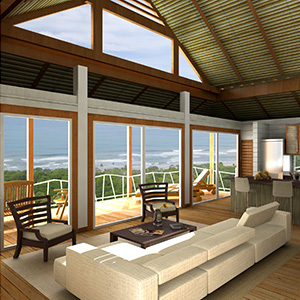 Costa Rica’s real estate is steadily increasing prices (20-50% per year) to ensure a good return on your investment. 9. The CIA’s assessment of world real estate in 2007 rated Costa Rica as one of the TOP 5 best real estate investments. Why buy Malpais or Montezuma Real Estate? 1. 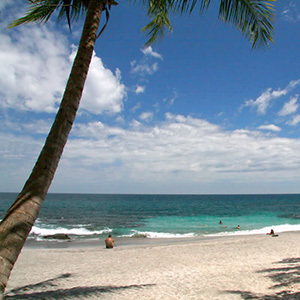 The climate in this part of Costa Rica is mild for a beach area. It’s cooler and not as dry as the areas farther north, yet drier than the hot, humid and buggy areas such as Manuel Antonio and locations below it. 2. The prices in Nosara, Manuel Antonio, and Tamarindo are already sky high and starting to level off, so we can see how much higher the prices here will be rising. 3. This area has many international residents, so the community is a more diverse melting pot of culture. 4. Both Montezuma and Malpais host an incredible array of restaurants, including Montezuma’s famous ‘Playa de los Artistas’, considered by many to be the best restaurant in Costa Rica. 5. The terrain in both Montezuma and Malpais has a natural scarcity of building sites. Many other places in Costa Rica have higher hills which aren’t as steep, creating a claustiphobic potential of thousands of possible building sites. This natural scarcity in the area insures higher real estate values. Many believe that the southern Nicoya Peninsula will become one of the most expensive and exclusive beach communities on Earth. 6. The jungle in this area is a transition zone between the dry forests of the north, and the wet forests of the south. As a result, the area is greener, yet still has a dry, comfortable summer. 7. Not only does the area have some of Costa Rica’s best surfing, but also some of the best snorkeling and diving, especially near Montezuma and off Cabuya Island. Several visiting professional divers have remarked that it’s the best diving on the Pacific Coast of Costa Rica because of the abundance of fish, national park protection, and a wreck site located there. 8. This area is far from any industry of any kind, keeping the area free from pollution in air, water, and even light pollution at night. 9. Because of the geography and rainfall, there are many beautiful waterfalls in the area, especially on the Montezuma side. Many exist for the public to see that aren’t famous, and you can have them all to yourselves. Click here for more info: Costa Rica Waterfalls. 10. Surf communities around the world always have great real estate values, and Santa Teresa in particular is extremely popular with wealthy surfers and celebrities.